The Steering Committee of the Surajaya Movement is launching a three-day Jana Chaitanya Nirahara Deeksha at Dharna Chowk, Indira Park, under the leadership of its Convener Dr. Jayaprakash Narayan. The non-partisan Surajya Movement seeks institution of a strong and independent Lokayukta, enactment of a law on citizen's charters for Government services, devolution of 10 percent the State budget on local governments and quality healthcare and education to all. 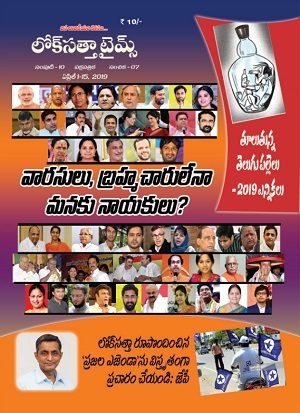 Top leaders of the movement – Freedom fighter Chennamaneni Rajeswara Rao, retired IAS officials Kaki Madhava Rao and K. Padmanabhaiah, MLC K. Nageshwar, senior citizens' movement leader Rao Chelikani, civic society leaders Ramakrishnam Raju and T. L. Narasimha Rao and working journalists' national leader K. Srinivasa Redy appealed to people to turn up in large numbers in support of the deeksha. 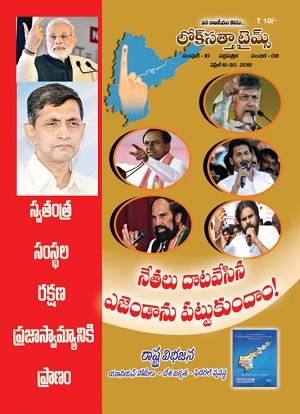 All political parties have expressed support for the deeksha and are planning to visit the deeksha camp. An exhibition of photographs and cartoons depicting the aims of the Surajya Movement is being organized at the deeksha venue. Singers Vangapandu Prasada Rao, Nissar and Srikant will render Surajya and patriotic songs. Visitors can lend their support to the movement by signing in a Surajaya supporters' register. The Steering Committee has called upon people to organize Surajya marches throughout the State on December 5, 6 and 7.